On July the 11th I’ll be kicking off probably the hardest physical challenge I’ve ever attempted. Running back to Poole in Dorset (where I live) from Minehead in Somerset, all the way along the amazing South West Coast Path in 21 days. Now, as beautiful as the longest National Trail in the UK is, it is also a daunting distance of 630 rugged and testing miles. That’s a very long way to cover running even if you do like to do a bit every now and again. I’ve been thinking recently perhaps I’ve bitten off more than I can chew here? Are my Long Run Home eyes bigger than my belly? Here are five things I’m frightened by right now about the challenge and a few thoughts I’ve had about how to approach these and seek to navigate around them. 1. The distance. It’s 630miles. That’s a crazy long way. It’s more marathons (and further) in 21 days then I’ve completed in my entire life. It’s twice as many miles in a single week (210) than I’ve ever run in a week before. What am I doing? Apart from panic how do you train for this? I’m sure it’s a balance of enough miles but not too many. My plan is simple. Run regularly, build up my longest run and build up my back to back runs. With that in mind I’ve been gradually building up my weekly ‘longest’ run. 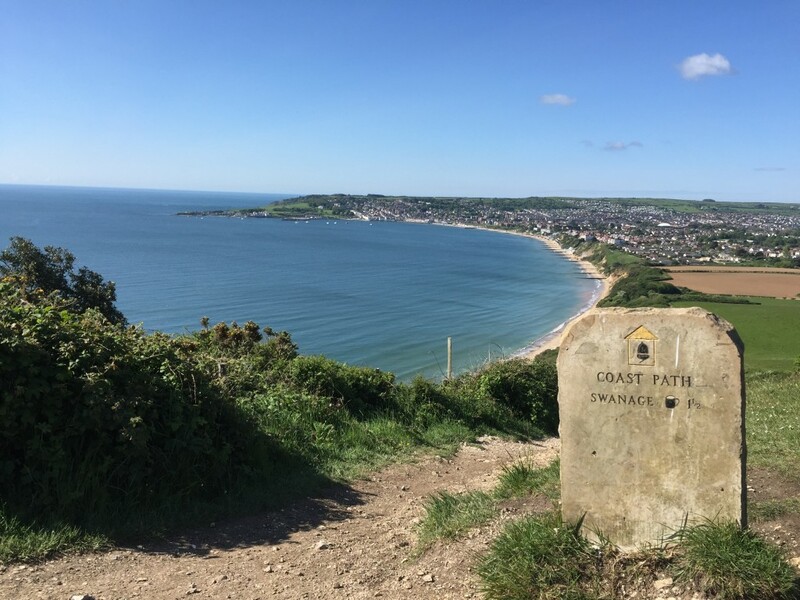 It started at 17, then went to 20, 26, 22 (on the flat) and finally last Monday I ran the equivalent of an average stage; 32 miles on the coast path with 4,285ft of elevation! This took me 6.5 hours in total with over 5.5 hours of running. Oh, and it nearly broke me. Here is the run on Strava. But, the great thing about this run was that the weather was incredible and as I ran the final two miles of the Long Run Home route (at the start of this run) I imagined running (or walking!) along there on July 31st with 630miles in the bag. 2. The terrain. It’s bloody hilly. I mean seriously up and down. There’s something like 115,000 feet of ascent and 30,00 steps. Running up and down hill isn’t a speciality of mine. I’m finding the so long as I keep the pace sensible and controlled and up and down the hills (that usually involves walking!) then my legs don’t feel quite as busted the following day. I mean check these steps out! What am I doing? Running to the hills that’s what! 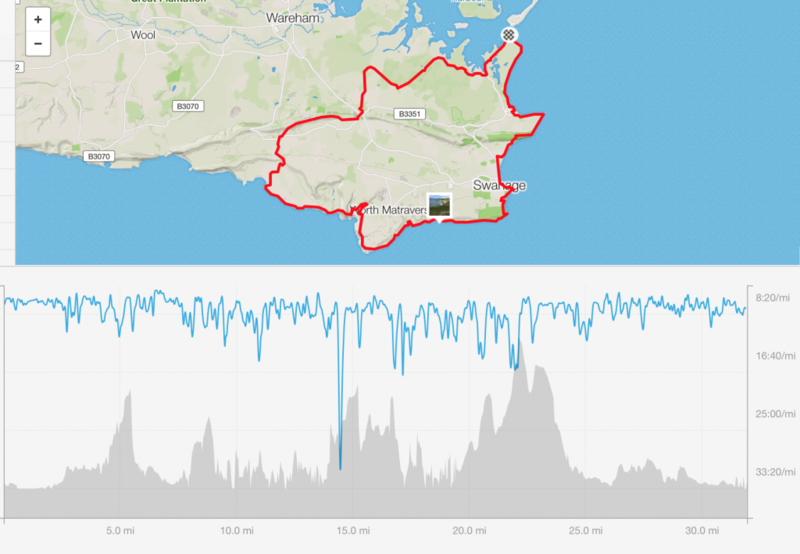 I’m trying to do my long runs in the Purbecks to simulate the terrain and conditions. Over the next month I’ll pop a slightly longer run in (probably Stage 20 plus a bit – Weymouth to Swanage). 3. 21 continuous days. I’m not sure why I thought a Tour De France style “21 days in July” would be a good idea. Even those pro’s have rest days. I’ve not factored any in. I’ve set clear objectives for each day and no wriggle room. The big concern here is injury. That could spell disaster. To be honest I’m a bit fragile too. I’ve prolapsed a disc in my back and have a niggling achilles. It’s injury stopping me running that is probably my biggest concern. 4. July might be hot hot hot. I actually love running in the summer but the heat can certainly add an extra dimension to running all day long. What am I doing? I don’t think I need to be smashing back litres and litres of water just in case – infact, this would be downright dangerous, but I am taking a hydration system backpack with me, monitoring my fluid intake and drinking to thirst. I’m also a huge fan of sunscreen and sun protection so a shady cap and white clothing is on the kit list! This is a big one. I’ve never been away from my children for more than a few days at a time and I’m seriously going to miss them. What am I doing? Liz and the kids are going to come for the final week and drive the motorhome from stage to stage. This is going to be amazing but also incredibly chaotic! Fancy getting involved? Why not sign up and come and run a stage, or a segment of a stage with me (more stage details for each to follow soon but here is a great MAP of the full Long Run Home route from the amazing Open Tracking (who are live tracking my entire run!).  If you do want to run, please sign up for a stage of choice at Long Run Home and join the Long Run Home Facebook group. If you don’t fancy running a stage or a segment of it come and walk, jog or run the final two miles on July 31st from Knoll Beach National Trust Cafe to the finish at a big blue SWCP sign at South Haven Point then join us for the beach party celebration! Sponsor me. Sign up to run. Come to the party. All the best of luck Martin! Gary’s comments are spot on. Give it a few days to get your ‘expedition fitness’ and things will go much much easier. It’s amazing how much stronger you can get on the trail after 4-5days where in your mind it seems like you should be fading. You can do this. Don’t let the mental chatter get in the way. Just treat it as background noise and you’ll be fine. The fact is you aren’t going to let yourself back out now anyway so might as well just accept that you are starting this and give it a go. What I most respect is when I see people put themselves on the starting line and just try. Success or failure, you know it’s all about testing yourself. Don’t underestimate the time for frivolous stuff pre and post runs each day. It can really add up and chew into your plan. Just be prepared for that going in as time starts running like water in those hours you want for recovery, eating, sleeping etc. Can’t wait to start following along online. Wish I could make it over from Colorado to come down and support on a few legs. Will be hoping for cool dry weather! Thanks David. Really good support advice. I’ll be giving it my best shot. I’m sure you’ll already be asking your ultra-distance experts friends in the running community how best to approach this epic challenge. 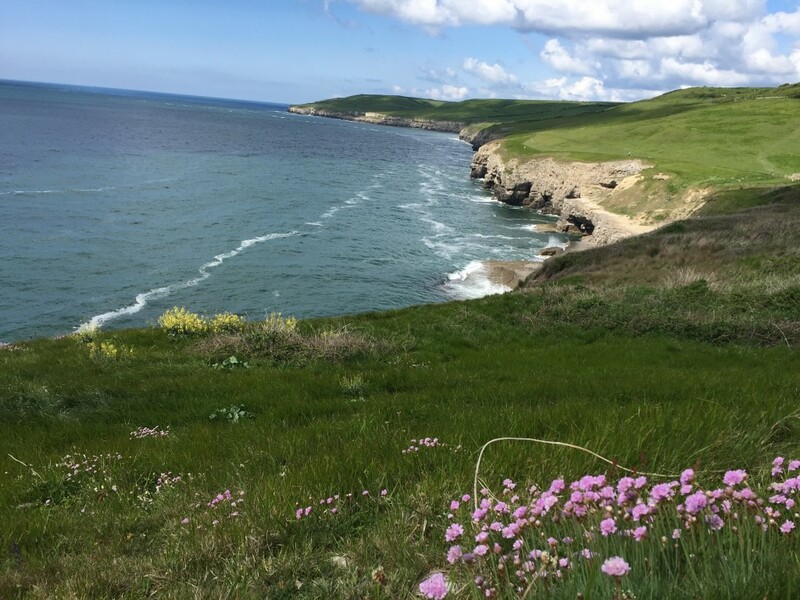 However I’d like to offer one piece of advice based on my experience as both a runner and long-distance walker; Forget any notion of running most of the way on the South West Coast Path. To give yourself the best chance of avoiding injury and completing the distance I’d recommend adopting a run/walk strategy right from the very start. I’d suggest walking on all significant hills, both up and down. Easy running between. If you adopt this strategy each stage will take longer obviously, but you’ll have a much more enjoyable experience and give yourself a great shot of making it all the way home. I completed the South West Coast Path six weeks ago. It was a wonderful adventure that I’ll remember for the rest of my life. I hope you have a similar experience. I’m planning to join you for all or part of a stage in South Devon in July. Hi Gary, that’s really sound advice. Thank you. It’s got to be balance of getting each day done and recovering for the next! Your blog makes for a good prep read!